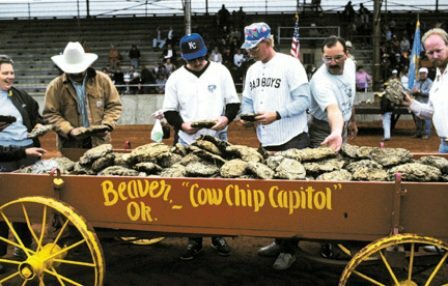 Come to the Cimarron Territorial Celebration and the 50th annual world championship Cow Chip Throwing Contest in Beaver to enjoy a week full of activities commemorating the pioneers of the Oklahoma panhandle. Bring the family and enjoy a carnival, craft show, parade, children's activities, festival foods, musical entertainment and more. Of course, enjoy plenty of cow chip throwing and other themed activities. 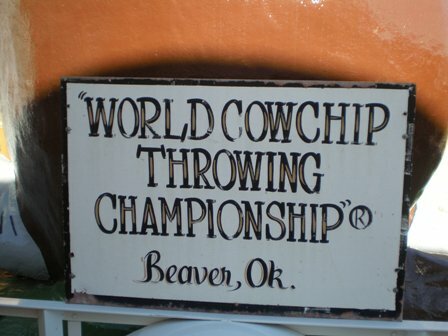 The cow chip throwing tournament celebrates the early traditions of frontier pioneers in Oklahoma. Bitter winters in the open plains found these early settlers in desperate need of fuel. With miles and miles of grass, no fuel was available. The Oklahoma buffalo hunters found that dried buffalo chips could be burned with adequate results. 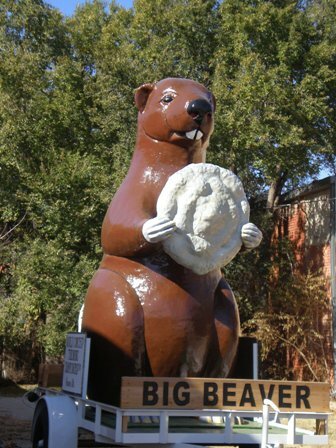 By the time the settlers came, however, most of the buffalo were gone. Therefore, the settlers had to rely on cow chips for fuel and heat. When dry, the chips emitted no odor, gave a clear bright flame, burned with intense heat and produced no soot. In the fall of each year, early settlers would take their wagons to the pastures to load up cow chips for the winter. With the whole family along, it became a sport as to who could throw the chips into the wagon with the most accuracy. 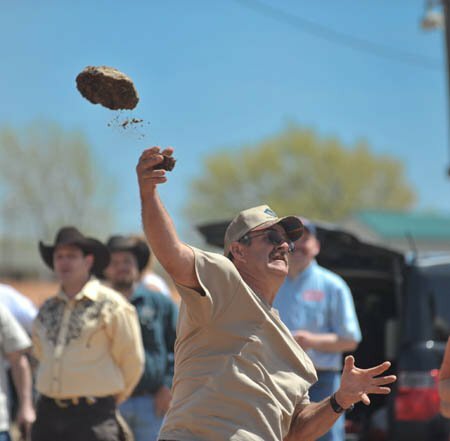 So, come to the Cimarron Territorial Celebration and Cow Chip Throwing Contest and see this unique event, which has not only garnered national attention, but keeps a pioneer tradition alive.